​The Cooks Standard diamond rod knife sharpening steel, 12-Inch is made of diamond that is electroplated on the surface which is harder than steel. Diamond material makes it an ideal tool for repairing a knife's edge. 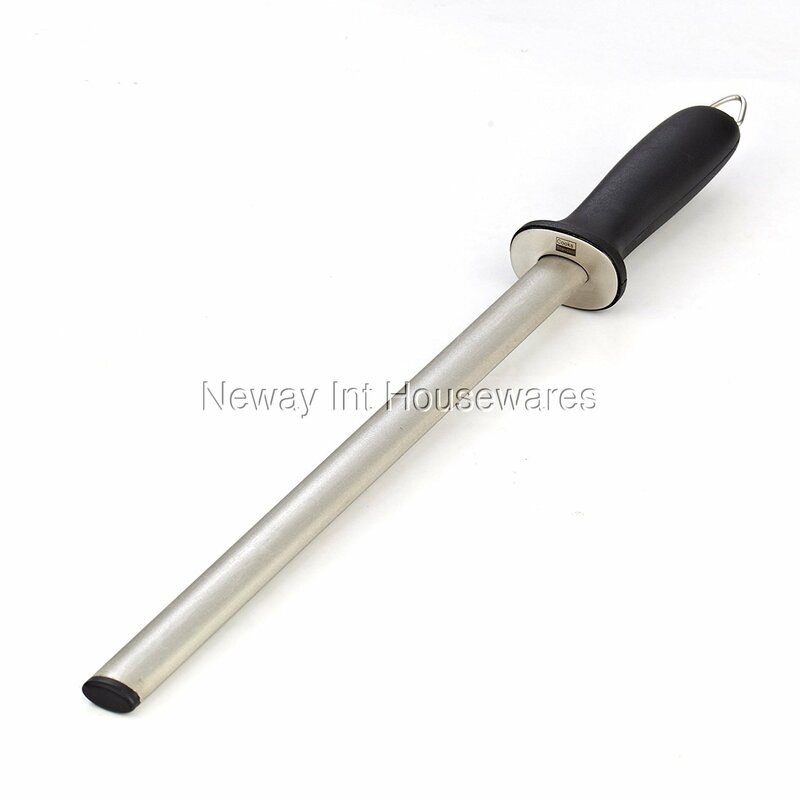 Rod length is 12 inches/30cm without handle which is long enough for professional use. Ergonomic handle is comfortable and safe with a guard cap and loop for hanging. Hold rod downward firmly and hold the knife at a 15-20 Degree angle away from rod to use. Not break resistant, do not drop on ground or hit on hard surface. Not for serrated edges. Not dishwasher safe, wipe with cloth and dry immediately to prevent rust.